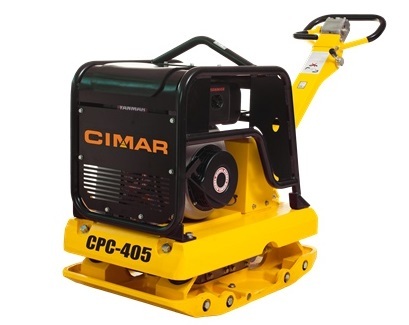 CIMAR Reversible Plate Compactors has 5 different choices, which are from 60kg to 405kg and installed petrol or diesel engine. CIMAR Reversible Plate Compactors have much large market around the world. Because they are special for compacting sand, trench, patching and so on. We believe every product an excellent performance in every worksite. 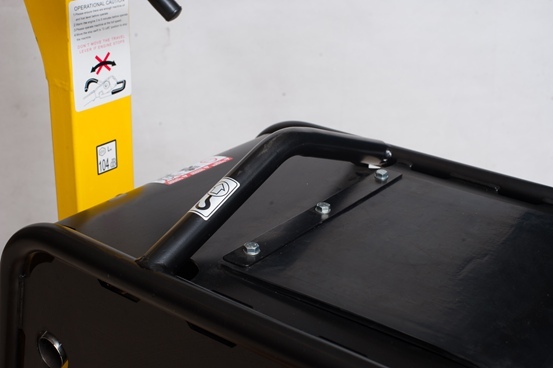 Every CIMAR Reversible Plate Compactors is tested before delivery. We promise the products high quality, low cost and excellent performance. You could trust CIMAR. CPC-405 is large size in Reversible Plate Compactor. It is great compaction and high efficiency. Both petrol and diesel engine can be installed. CPC-405 is special for large area and patching condition. In additional, extension plate is optional to enlarge the base and enhance the efficiency. 1. 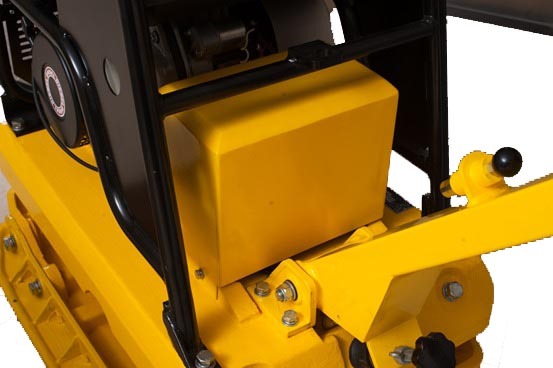 Hydraulic System – Hydraulic direction mechanism makes the machine forward, backward and on-spot-compaction. 2. 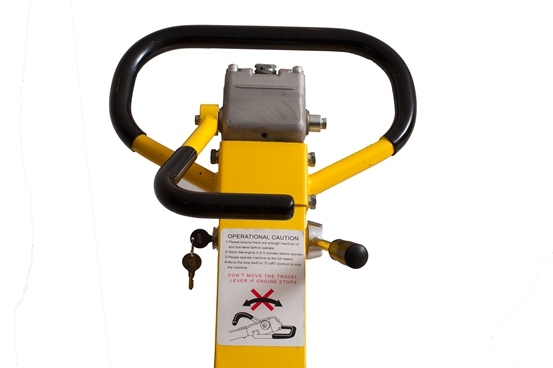 Throttle Lever – It is made by Casting Aluminum which is more durable and comfortable for the operator. 3. Frame – The closed style frame is better to protect the engine. And with the hook it is easy for transportation. 4. Belt Cover – Casting aluminum belt cover is easy to cool. So life span of both engine and clutch will be long. It also prevents sand, soil and dust in. 5. Shock Absorber – Good quality shock absorber could absorb vibration efficiency. So the operator feels comfortable. 6. Base – Ductile iron base is more durable and stronger. 7. Electric Switch – The engine with electric switch is more efficiency for the operator to start the machine (only for diesel engine). 8. Battery – Sealed battery design could protect the battery (only for diesel engine). 9. 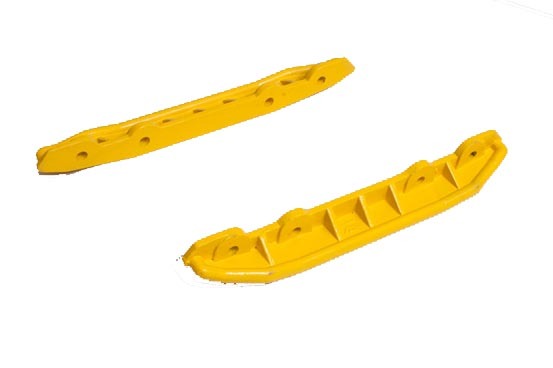 Extension Plate (Option) – Extension plate (weight 12kg) is available with model CPC-405. 10. 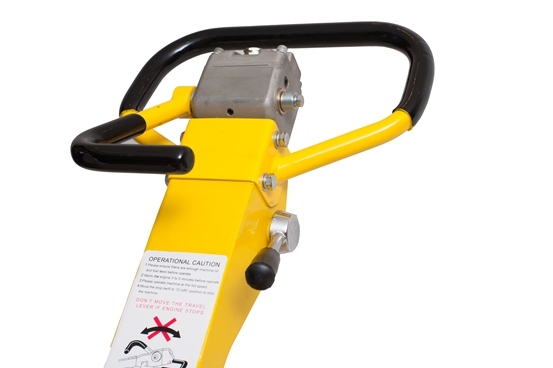 Rubber Mat (Option) – Plate Compactor with Rubber Mat work for bricks.